Coming of age in occupied France. Paul and Claude are in love with the same girl, Jacquie. But Jacquie only has eyes for Claude - and she loves that alluring scar on his cheek. It makes him look as if he's always smiling. And it's so seductive. 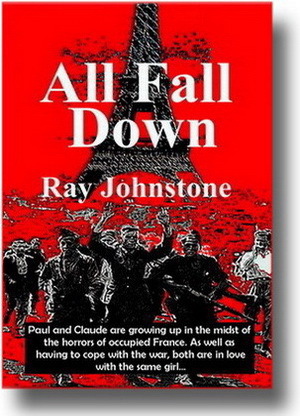 When the Nazis occupy France, the boys live in constant fear of being sent to work in German factories. To avoid conscription, Claude joins the French Gestapo. But Paul chooses the Resistance. The boyhood friends are now on opposite sides in a ruthless and bloody conflict. "This absorbing novel is excellent. Fully researched, with a great sense of time and place. Highly recommended." "What's beyond the universe? And how do you slow time? Or defeat a bully? Or attract a stand-offish girl? The young sorcerer's apprentice learns it all. A tale with extraordinary depth. And practical, too."